Carlsson mixes a hot car with a hot girl in promoting their Mercedes SL65 AMG. Carlsson loves tuning Mercedes-Benzes, so it&apos;s not surprising that the firm has turned their attention to the powerful SL65 AMG. The program they had in mind was to creating a Gran Turismo-style model from the two-door Merc and from the looks of it, they accomplished their goal in spades. Carlsson says that their model was "designed to combine emotional character with safety-relevant aspects and high road capability." The model seen here was finished in a stunning matte gray and features a powerful and aggressive body kit. The body kit consists of flared arches, a pair of very pronounced side wings and a unique rear end with dual integrated diffusers. 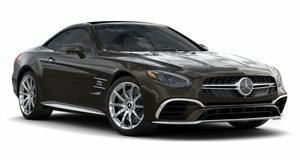 The biggest changes come under the hood, where the SL65 AMG&apos;s engine now cranks out a serious 753hp and a maximum torque of 975 lb-ft from its twin-turbocharged V12. The amount of torque has been electronically limited to 848 lb-ft. The added power comes via the use of a stainless-steel exhaust system, sports air filter and a revamped ECU. It can sprint from 0-62mph in 3.7 seconds. Carlsson has also added a C-Tronic suspension and upgraded materials on the interior to complement the Mercedes&apos; standard technology, such as ABS, ESP and a full array of airbags. Check out the Carlsson C25 Mercedes-Benz SL65 AMG and its model accomplice in the gallery below.